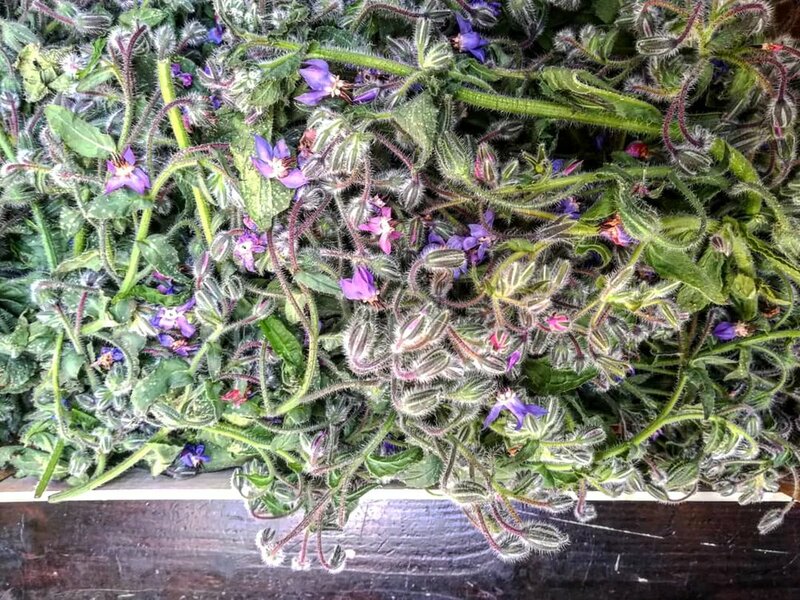 Borage is an edible weed with purple blue blossoms that are a lovely garnish to savoury and sweet dishes alike. The flowers can be used fresh (try sprinkling them in a salad or on top of a cake for a brilliant pop of colour), or they can be crystallised and saved for decorating baked goods later in the year. The young leaves and stems are also edible, though their prickly texture makes them better suited for cooked recipes. The entire plant has a mild cucumber flavour, and the stems make a lovely addition to a pitcher of summer punch. Heat the oil over high heat to prepare for frying. Meanwhile, mix together flour, sparkling water and egg yolk to form a smooth batter. Season with salt & pepper, and then stir in the pecorino and mint leaves. Add the borage flours to the batter and lightly stir to coat. Drop into the hot oil and fry for about 3 to 4 minutes until golden and crispy. Drain for a moment on a paper towel before plating. 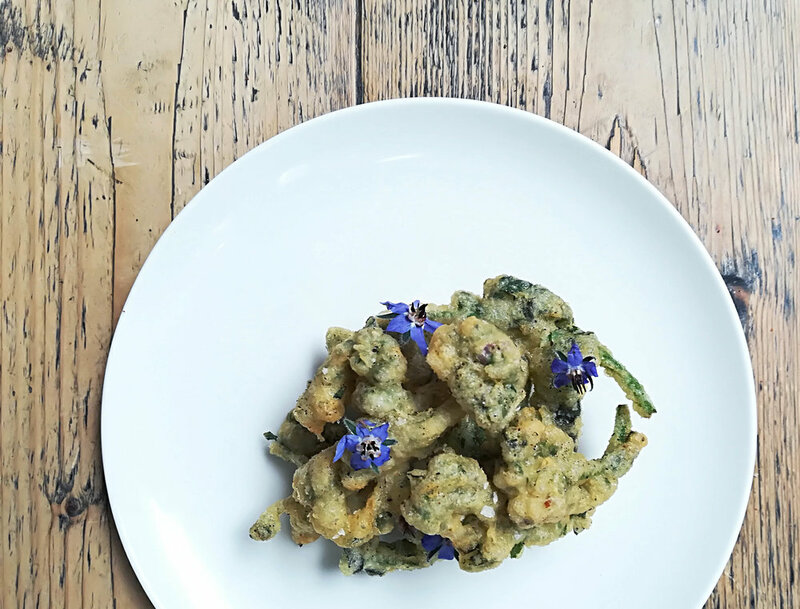 Garnish with borage flowers and a sprinkle of coarse salt. The grapes are picked early in the day to preserve their freshness and flavour style. Soft pressing ensures a lightness which is refreshing yet with plenty of flavour bursts of red fruits and peaches. This is an easy drinking aperitif or lunch wine to enjoy with simple grills and seafood as well as the classic Provencal Pissaladiere. Both fresh light, and soft strong goat cheeses are good although the drier aged versions will also work.